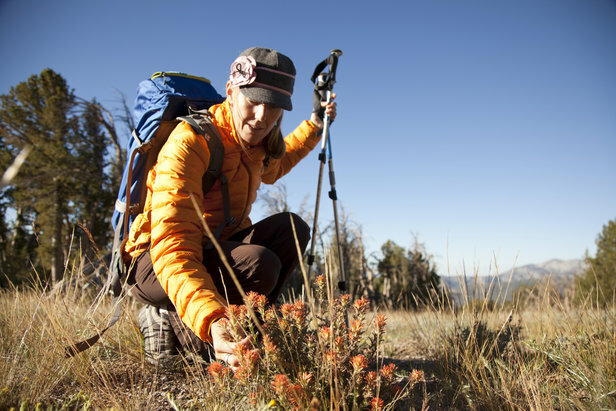 Hiker views wildflowers at Minaret Summit. Wildflowers are one of those sweet little bonuses the mountains offer up in early summer. The blooms don’t typically last long, but the sight of an entire valley or mountainside painted in tiny pastel dots is enough to make you forget about pow turns for a few weeks. Most of the wildflower hot spots throughout the mountain west are literally dying down at the moment, but the colors are just ramping up in Mammoth Lakes, CA. 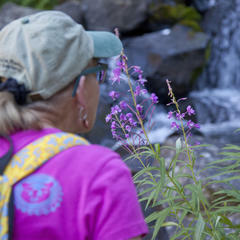 High elevations mean blooms take a little longer to burst into action, with wildflowers going off well into July. Here are a few of the best spots for basking in the colorful arrays. With its relatively lower-elevation trailhead, the Sherwin Lakes Trail is one of the first to melt out for the hiking and wildflower-viewing season. The trailhead is located off Sherwin Creek Road, near the motocross track. In just 3 miles the trail climbs steeply in a series of switchbacks to a small meadow followed by a pair of small lakes beneath the high peaks of the Sherwin Range, affording wide vistas back across the town of Mammoth Lakes and the Long Valley Caldera. Wildflowers are sprinkled along the way and show up in force once you hit the meadow. This trail puts on a stunning display of wildflowers in the spring and early summer months. Hikers travel along McGee Creek, through grassy meadows and tunnels of aspen trees, while McGee Pass sprawls out before you. From Mammoth Lakes, head east on CA 203 to US 395. Head south on 395 for 11.7 miles and turn right onto McGee Creek Road. Follow the road until it ends in 3.2 miles (the road becomes a dirt road but is easily passable for passenger cars). There is a parking area at the trailhead. This trail is also a great fall colors hike. Wildflowers at McGee Creek in full bloom. 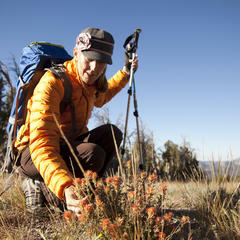 The Starkweather Trail starts at Minaret Vista and descends into Reds Meadow Valley. You’ll start at the Minaret Vista entrance gate. From there the trail parallels the road for a short while before dropping into the valley. Meadows filled with wildflowers–surrounded by old growth Jeffrey Pines–pop up before you along the way and mountain views can be seen through the trees from a number of points along the trail. Pick up the Reds Meadow Shuttle from the trail’s end at Starkweather Lake, or return the same way for a steep climb to the top. Hiking through the Sherwin Meadow and Enchanted Forest Trail is spectacular if you time your hike just right and catch the beautiful purple of the irises that bloom each year. From Sherwin Meadow, take the dirt road that departs from the Forest Service horse stables to the end of the road near the back of Snowcreek Golf Course. Pick up the trail here. It will travel along the base of the mountains to Hidden Pond and connect with the Enchanted Forest loop. Additionally, check out Mammoth Rock Trail, just a bit higher than the stroll through the meadow, for a different vantage point. 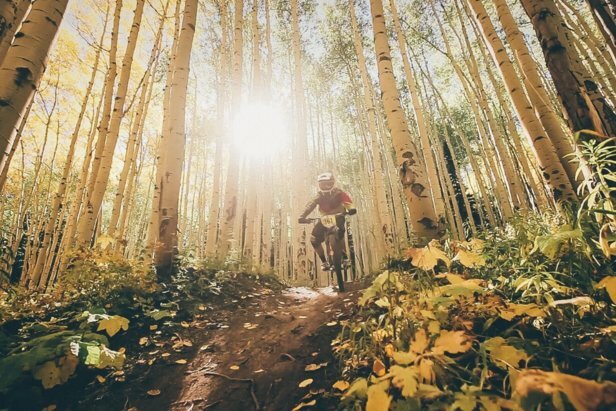 Be aware, however, that mountain bikers and horseback riders also use this trail. 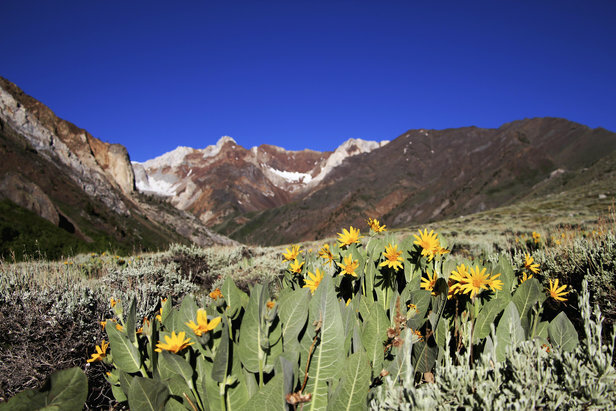 Sky Meadows is the top destination for wildflower viewing in the Mammoth Lakes Basin. 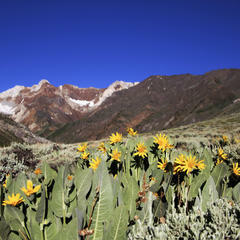 The alpine area is perched below the snowfields and granite peaks of the Mammoth Crest. Pick up the trail from the Coldwater Creek Trailhead for Emerald Lake, which follows the creek for the majority of the way to Emerald Lake. From here, follow the sign up to Sky Meadows. The climb is steep but short and well worth the effort.